The Sentinel-1B satellite is now fuelled and ready to join the Soyuz rocket that will take it into orbit on 22 April at 21:02 GMT (23:02 CEST). 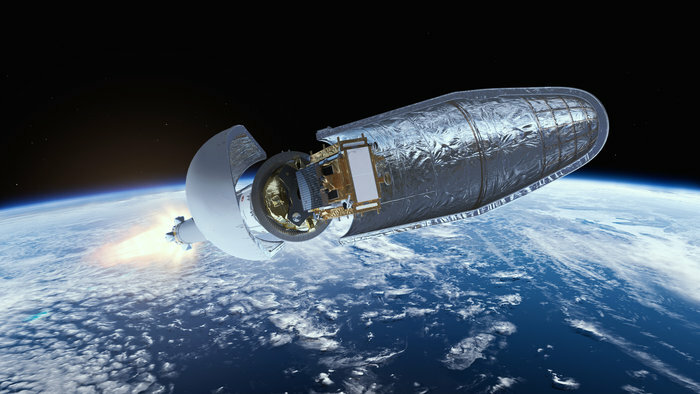 Once in orbit, it will provide radar images of Earth for Europe’s Copernicus environmental monitoring programme. With the Sentinel-1 mission designed as a two-satellite constellation, Sentinel-1B will join its identical twin, Sentinel-1A, which was launched two years ago. By orbiting 180° apart, global coverage and data delivery are optimised for the Copernicus services. Read the rest of the article after the jump.